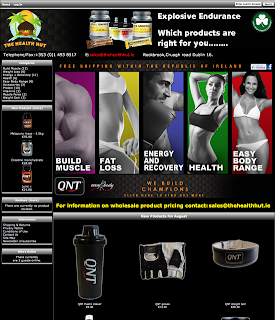 thehealthhut.ie is a new online store based in Dublin Ireland, thehealthhut.ie supplies sports nutrition products and accessories into the Irish health and fitness market. The thehealthhut.ie is dedicated to aiding athletes/persons in all health and sporting activities to acquire the ultimate in nutrition for the highest levels of performance. Sellers who sell direct to the public in business such as gyms or shops can contact the thehealthhut.ie for details of their retail pricing.